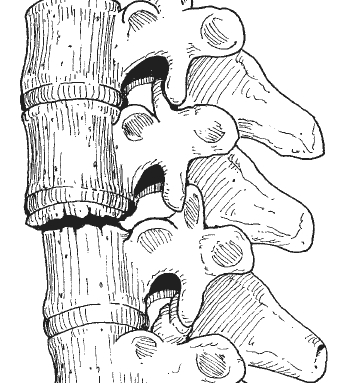 The Holdsworth fracture is an unstable fracture dislocation of the thoraco lumbar junction of the spine, first described by Frank Holdsworth in 1963. The injury consists of a fracture through a vertebral body, rupture of the posterior ligaments and fracture/dislocations of the articular processes (see figure below). Sir Frank Holdsworth described the mechanism of this injury as a flexion-rotation injury, and stated that the unstable fracture dislocation should be treated by fusion of the two affected vertebrae. Holdsworth FW. Fractures, dislocations, and fracture-dislocations of the spine. J Bone Joint Surg Br (February 1963, 45-B (1): 6–20.